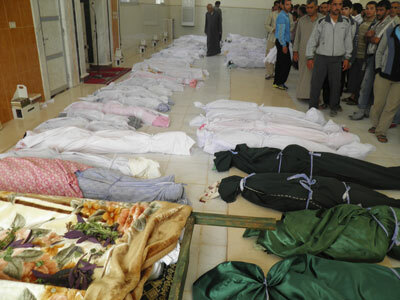 The specter of military intervention in Syria is looming in European capitals after the Houla Massacre. Moscow is growing critical of Damascus too, but insists that the story is not as straightforward as it may seem. ­An end to the Syrian crisis could be brought about by a military intervention sanctioned by the United Nations Security Council, according to French President Francois Hollande, speaking on Tuesday to France 2 television. ­Paris joined other Western nations in expelling Syrian envoys in response to last week's killing of 108 people in the town of Houla, many of whom were women and children. Australia, Britain, Canada, France, Germany, Italy, Spain and the United States acted in concert to step up the pressure on Damascus. Bulgaria, the Netherlands and Switzerland also dismissed Syrian diplomatic missions. 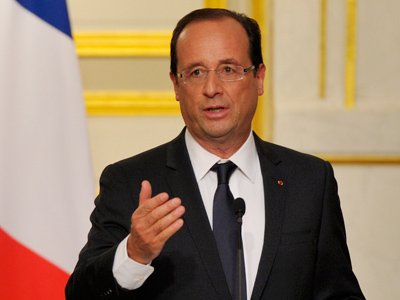 "It is not possible to allow Bashar al-Assad's regime to massacre its own people," Reuters quoted Hollande as saying. RIA Novosti points out that in his speech, Francois Hollande also referred to French intellectual, philosopher and journalist Bernard-Henri Lévy, who, in March 2011, persuaded the then-French President Nicolas Sarkozy to recognize the leaders of the emerging Libyan opposition and to initiate a military campaign against the Gaddafi regime. Now, he is openly pushing for the same scenario in Syria. "I want what happened in Libya to be perceived as proof that foreign intervention is possible in Syria. Homs today is Benghazi yesterday," he said. A similar statement came from Belgium, where Foreign Minister Didier Reynders' office called for a foreign military presence in Syria. "While the basis for a military intervention is lacking in the international community, including in the Arab world, it must be possible to ponder a military presence, including security zones and a peace force," he said on Tuesday. According to the statement, the “peace force” would protect the UN’s unarmed observers, ensure humanitarian aid reached destination and enforce the respect of a ceasefire. Earlier on Tuesday, Belgian Defense Minister Pieter de Crem said that his country would take part in any foreign force acting under a UN mandate. However, he ruled out a Libya-style NATO operation, saying that the alliance cannot act on behalf of the whole world. 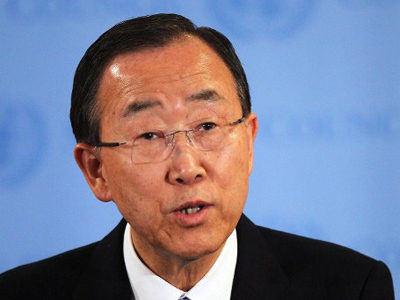 Brussels has joined a number of Western governments who had ordered out the Syrian envoys. It declared the Syrian ambassador and two other diplomats "personae non grata". The French president also said on Tuesday he would try to convince his Russian counterpart Vladimir Putin to back UN Security Council sanctions against Damascus. Hollande and Putin will meet in Paris on Friday. ­The weekend massacre in Houla seems to have become a turning point for Russia’s rhetoric on the Syrian crisis. International media note that Moscow has taken an unusually hard line against President Assad's government. Some suggest that Russian government is sending a warning message to Assad – that he needs to change course, otherwise he will lose Moscow’s support. Russia has grown increasingly critical of Damascus in recent months, but Lavrov's latest comments were unusually strong. Losing Russia’s support is not something Assad could afford right now. He is almost completely isolated internationally, and Moscow is the only major power that was not solely blaming Bashar al-Assad for all the violence in the country, putting a large share of responsibility on the rebel forces. It was Russia and China who used their veto power in the UN in order to block unbalanced draft resolutions favoring one side of the conflict. Now, the Russian Foreign Minister says Moscow has no interest in propping up Assad, but wants Syria to guide its own transition under the plan by UN’s special envoy Kofi Annan. “We don't support the Syrian government; we support Kofi Annan's plan,'' Lavrov said. ­Contrary to some capitals of the Old Continent that are speaking of possible use of force, the White House spoke against the US military action in Syria. It would lead to greater chaos and carnage, said White House spokesman Jay Carney. "We do not believe that militarization, further militarization, of the situation in Syria at this point is the right course of action," he said, adding that the military action remains an option and is not yet taken off the table. Pentagon spokesman George Little said Tuesday that no plans for military options in Syria are currently in preparation. "The focus remains on the diplomatic and economic track," Little said. "But at the end of the day, we in the Department of Defense have a responsibility to look at the full spectrum of options and to make them available if they're requested." ­Who to blame for massacre? ­Despite the most straightforward conclusions, it is not yet clear who bears the responsibility for what happened in the Syrian town of Houla on Friday. Former British intelligence officer Alastair Crooke earlier told RT that the type of killing that took place in Houla – beheadings, slitting of throats, mutilation of bodies – is not characteristic of the Levantine Islam, to which Syria and Lebanon belong. Instead, such practice was common in the Anbar province of Iraq. 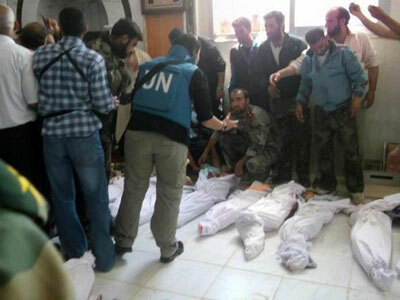 Meanwhile, the UN Security Council has blamed Syrian forces for artillery and tank shelling of residential areas. Still, there was no indication of who should be held responsible for the close-range shooting deaths and “severe physical abuse'' of civilians. 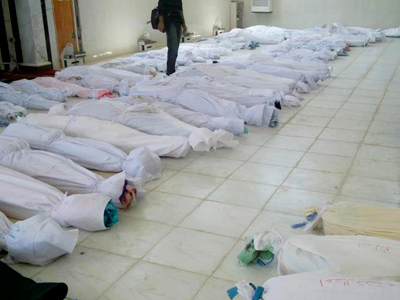 Russia, on the other hand, blamed both the government and the rebels for the Houla Massacre. 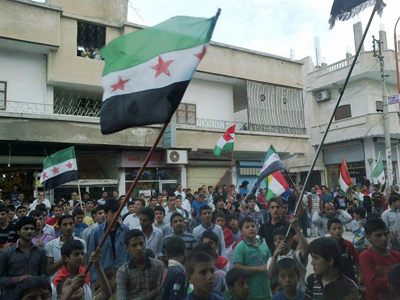 Many of those who were slaughtered in Houla were women and children – 34 and 49, respectively. The total number of reported deaths is 108. Many of them had bullet holes through their heads – an indication of an apparent close-range shooting. The Syrian government has strongly denied any involvement of its forces in the brutality.